Learn how to print custom images using screens and stencils in this fun and hands-on 3-hour workshop. Whether you're interested in screen printing your own art for fun or interested on how you can implement screen printing in your creative business, this is the workshop for you! 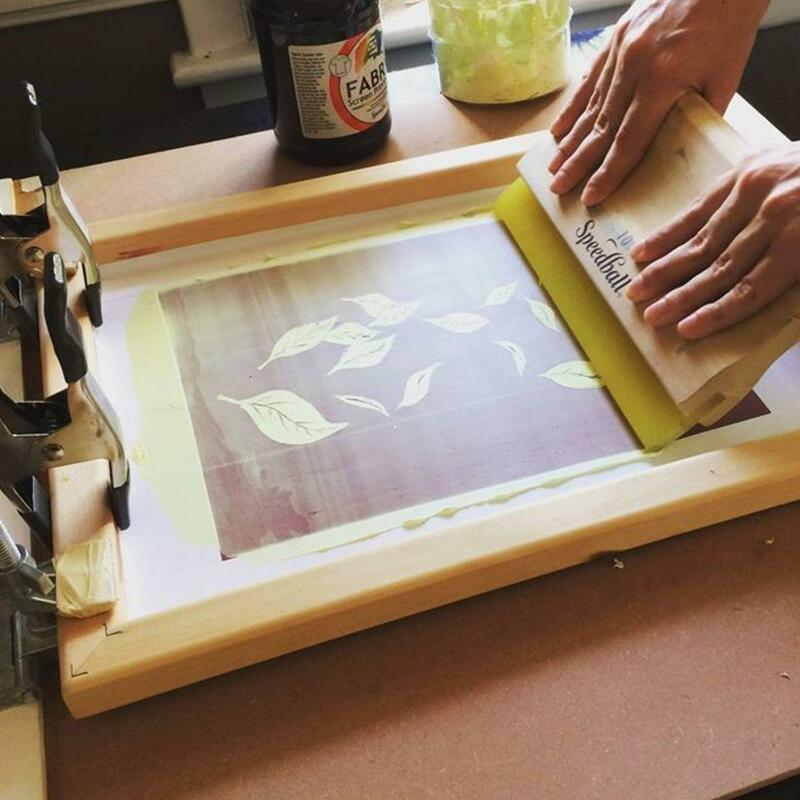 Ariana Gershman's DIY SCREEN PRINTING workshops are designed to lift the hazy cloud of "inaccessibility" for those wishing to learn this useful skill without breaking the bank. Learn DIY tips and methods that Ariana uses for her screen printing business, Moon Rabbit Studio. $40 General Admission. Space is Limited. Online registration is required! What will go down in this workshop:1. Learn Image creation techniques on screens using hand-cut stencils. 2. Screen print multiples of your very own created image!3. Overview of printing materials, where to buy them, screen mesh size info, and many tips and tricks to keep it clean and organized in small spaces.Materials:We got you covered- all materials included! Feel free to bring in some simple design ideas. Look up "silhouette" images in any category on google for some good examples. Print them out on regular sized computer paper and bring em in.What you take home:An awesome new skill and some cool printed posters of your own that you can hang on your wall or give as gifts!What should you bring?Yourself in clothing you don't mind getting dirty or bring an apron.This workshop does not cover exposing screens with Photo Emulsion or T-shirt printing. More infoon upcoming workshops to learn these methods will be given. Class ticket may be refunded fully if you contact us on or before Jan 31st to cancel your purchase. For refunds after deadline, we will incur a $15 fee. Please email ariana@yourmoonrabbit.com for class refund questions.